As computers have grown ever more powerful, astronomers and astrophysicists have increasingly used computers to model the complex systems they study. This can range from modelling the motions of planetary bodies in our solar system, to simulating the convection of plasma in the depth of a star. Perhaps the most ambitious computer modeling project, however, is the Millenium Project at the Max Planck Institute. The Millenium Project is an effort to model the entire universe computationally. The initial model simulated a cubic region of space about 2 billion light years across. In this volume was about 10 billion clumps of dark matter, each clump being about a billion solar masses. To this was added about 20 million galaxies. You can see an image of the result above. 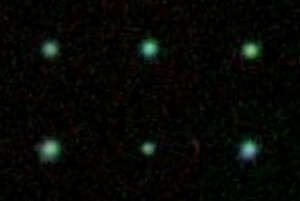 One of the things that stands out in this image is that the galaxies are not uniformly distributed. Instead, they fall into clumps, with tendrils or filaments connecting them. This clumping pattern is seen in the real universe as well. Since then the project has done a larger simulation, Millenium XXL, which used about 300 billion dark matter clumps. There are other universe simulations, such as Horizon Run 3, and the DEUS project (which bills itself as the first “full universe” simulation). Each of these have strengths and weaknesses, and it’s important to keep in mind that these are not simulations of the universe, but of a universe. Where these models are useful is in making statistical comparisons between the results seen in the simulations and actual observations of the universe. For example, the “clumpy” nature of galaxies I mentioned above. Just how clumpy these galaxies are depends on how much dark matter and dark energy there is in the universe. We can measure the distribution of galaxies in the universe and determine how “clumpy” they are statistically. By comparing this with similar calculations done with the simulated models, we can see how well they agree. This helps us determine if our models for dark matter and dark energy agree with reality. The Millenium project has taken this one step further, by creating the Millenium Run Observatory. This is a virtual observatory where you can “observe” different aspects of the Millenium simulation just as you would with real telescopes. This means you can also compare results more directly. You can, for example, compare a survey of galaxy observations with a simulated survey in the Millenium “universe”. 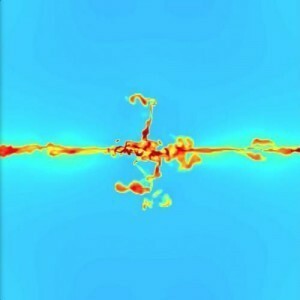 Universe simulation is still in its early stages, but it could prove to be a useful tool in studying cosmological models as we gather more and more observational data. 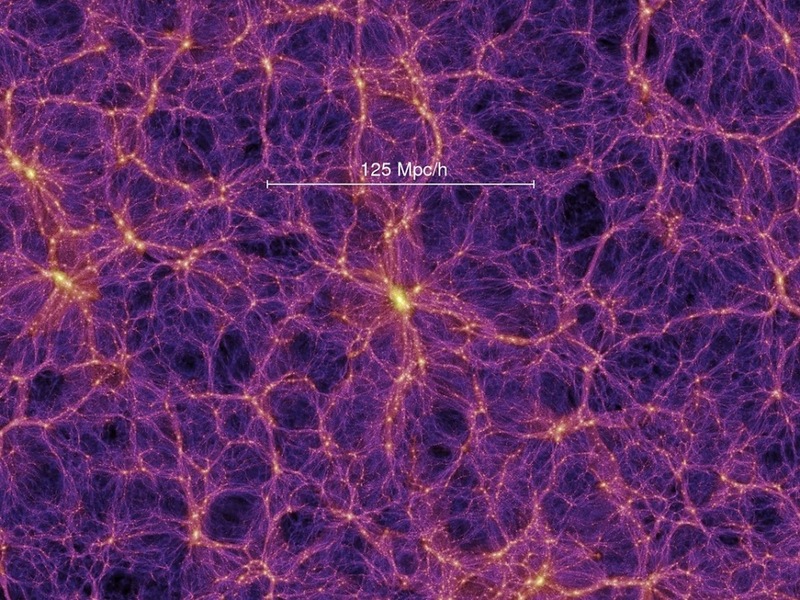 Does the results show that dark matter is not evenly distributed throughout the universe, is it the case that there is more dark matter in certain areas verses absence of dark matter or a combination of both? Could dark matter simply be a undiscovered weak force similar to a magnetic flux line. My reasoning could be that large amounts of mass reacts to the dark matter the same manner in which you see the sun plasma reactions with its magnetic flux lines. If that makes any since!